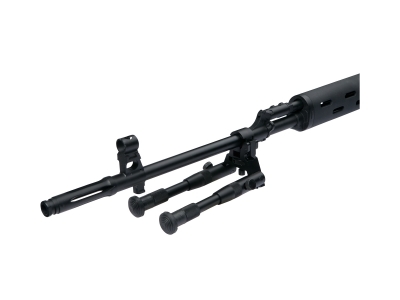 ASG Universal barrel mount bipod. 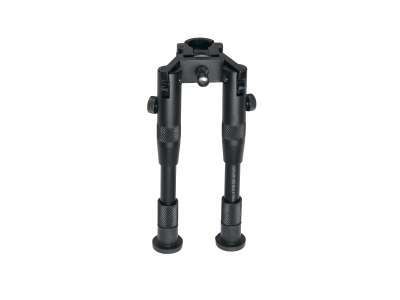 A slim profile barrel mounted bi-pod with fold-able and extendable legs. 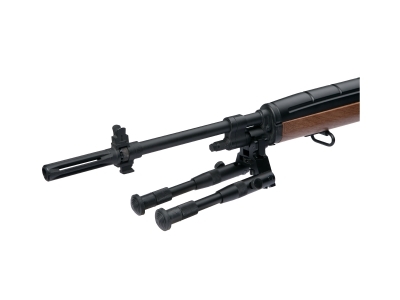 It mounts quickly on any barrel with a latch and gets tighten in place with a tension screw for a secure tight fit.